Small businesses looking to scale often face problems in human resources, or human capital. Essentially, their most important asset. A lot goes into planning a proper HR system – hiring, training, onboarding, payroll processing, developing ethics and compliance, internal management transition or provision of benefits; it’s a challenging feat. More so for a growing business and adapting when plans change. Setting up a solid HR department seems to be the default choice to handle it all. After all, who better to handle human resource than a dedicated team highly vested in employees’ interests. Organisations that are running HR traditionally still focus on its transactional aspects – risk, compliance, record keeping, budgeting and payroll management. But things have changed with greater workplace transparency, legislative mandates that are redefining what HR means to businesses. As we enter a new era of technology, people have screamed that the death of human resource is approaching and its role is transforming both in name and function. We see automation taking over business processes and software can now accomplish many of those core responsibilities cheaper, faster and better than before. We’ve identified the most critical functions businesses must consider as they scale and how Payboy can help: employee experience, wage management and government compliance. Generate GIRO transfer file for three local banks in Singapore – DBS, UOB, OCBC. No longer worry about the plethora of leave types, we got you covered. 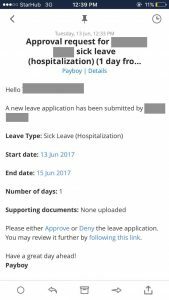 Payboy’s software has a list of mandated leave policies by MOM and allows customised creation of ‘New Leave Types’ to suit each business’ unique workflow. Create new leave types in just 3-steps. 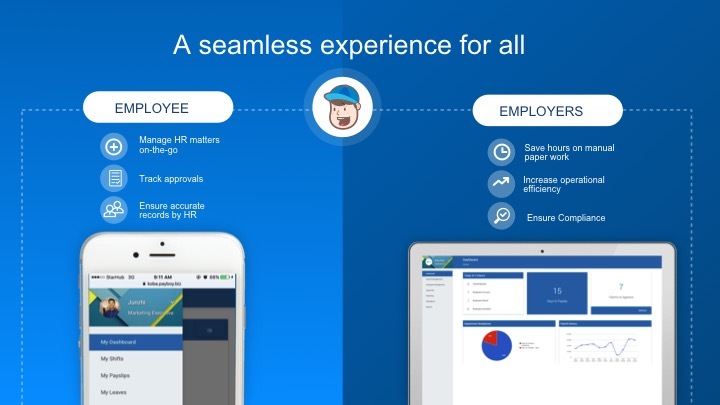 Payboy’s fully automated solution enables businesses to easily track and monitor employees’ NS Re-service leave, Unpaid Leave, Earned Leave and other custom-type leaves. All requests and applications are digitally submitted through the system, which eliminates any room for error and manual processing. 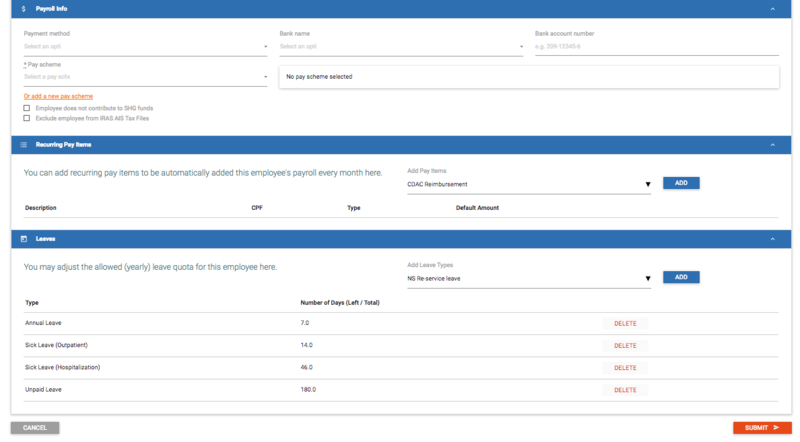 Similarly, Payboy takes all the fuss out of managing multiple employees’ claims by enabling you to manage them on a single dashboard. 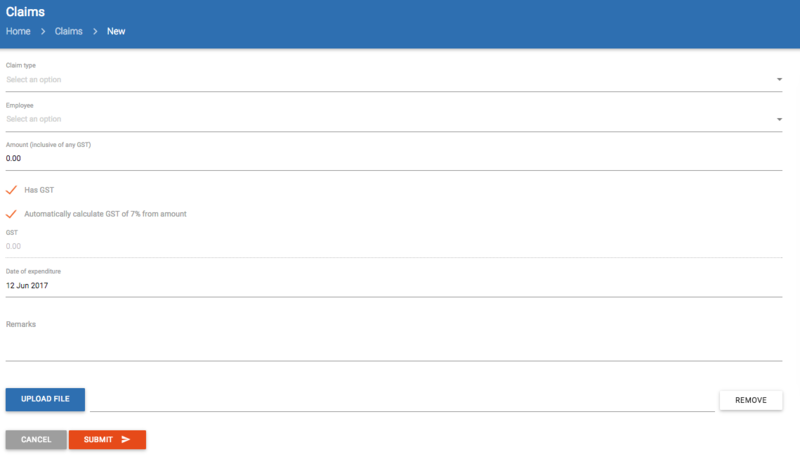 Managers can take charge of approval claims by employees instantly using the approval access via email notification. Another bonus – Payboy’s Leave & Claims functions are seamlessly integrated on a single platform. This means you will see a clear overview of all your employees’ leave & claims as your business scales. 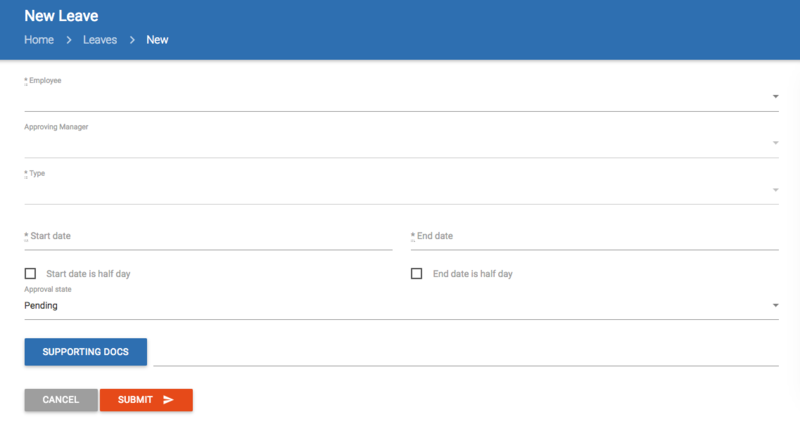 And if you were still using attendance timesheets via Excel, simply import them with one-click. That’s it! Loved what you read and would like to receive more tips and guides? Follow us on Facebook and LinkedIn to make the most out of Payboy HRM software.